The Trap House Returns. But Now It’s Haunted. The trap house is back. 2 Chainz announced this week that the property will be turned into a haunted house this fall. 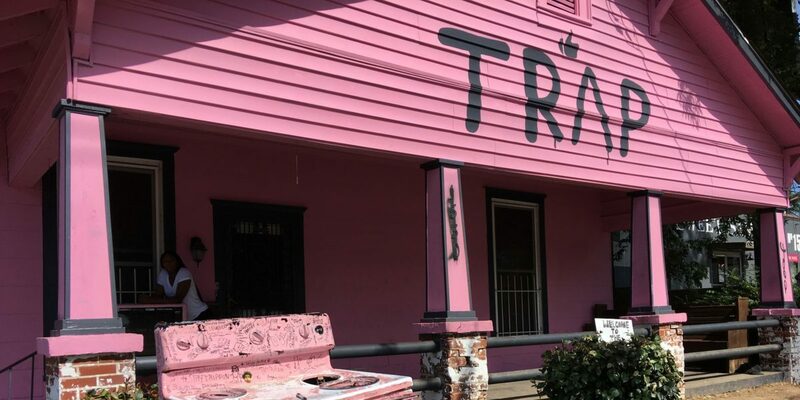 The Atlanta native rapper has compared the Pink Trap House — used to promote his 2017 album — to the Statue of Liberty. The now white-painted, bungalow-style home built in 1940, on 1530 Howell Mill Road NW, was facing demolition earlier this summer, according to the Atlanta Journal-Constitution. 2 Chainz rallied to save the property. “I’m not sure why they want to knock it down, but I’m all about redirecting, redirecting the negative stuff into something positive,” he told TMZ in July. According to the company it will be the “first of its kind hip-hop themed haunted attraction” and will feature scenes from films of the ’80s and ’90s. The haunted Trap House will be open from Sept. 21-Nov. 11. Tickets start at $15 and can be purchased here.